Our team of expert trainers at 121personaltraining.com have been providing personal training in Wimbledon for more than fifteen years. We cover all of Wimbledon, including Wimbledon Village, Wimbledon Broadway and South Wimbledon. Best of all, we come to you so training takes places at your home, office or private gym at times that fit in with your work and family commitments. If you prefer training outdoors then Wimbledon Park and Wimbledon Common are already popular venues for 121 Personal Training Wimbledon clients. Your Wimbledon personal trainer will bring all the equipment you need for fantastic workouts. We offer everything from stress busting kickboxing to fat burning kettlebell training – with 121 Personal Training Wimbledon the choice is yours. Our personal training packages are great value and start from as little as £40 per session. Alongside our 121 Personal Training Wimbledon packages, we also offer nutrition coaching in Wimbledon – check out our special nutrition offers. We make personal training fun, rewarding and we get results. A large percentage of our clients stay with us for many years because we get them fit and healthy and keep them feeling that way. We have helped hundreds of clients across London to train for sporting events and in preparation for weddings, ski trips and beach holidays. 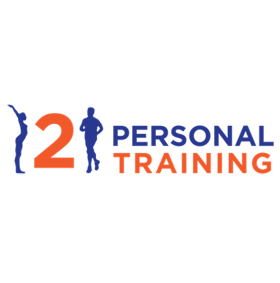 Our Wimbledon personal trainers also specialise in weight loss and post-natal training, so if you are looking to lose weight or even regain your pre-baby figure then 121 Personal Training Wimbledon is definately for you. Call us today or just fill out the contact form on our home page and we will call you straight back. Train in your own home. Train at times that fit your schedule. Train with a ‘buddy’ or family member at no extra cost. Experienced, insured, first aid qualified personal trainers. 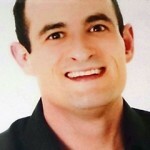 www.121personaltraining.com – personal trainers Wimbledon sw19.